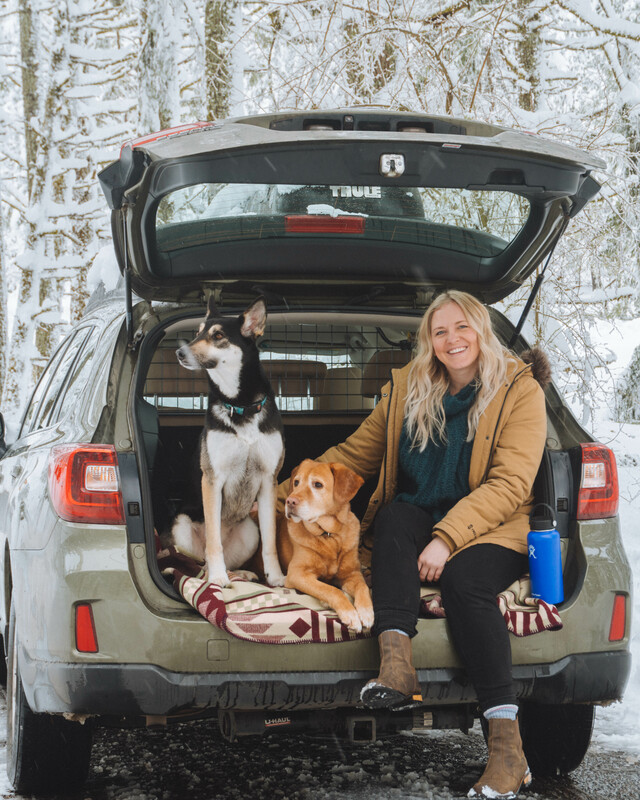 If you’re looking for an excuse to load up the car and take off for a few days, guess what? 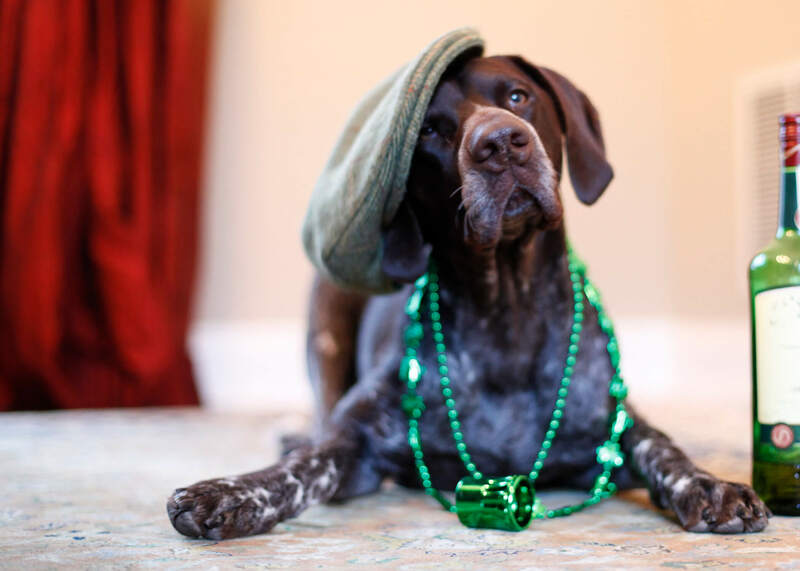 Saint Patrick’s Day is almost here and there are some incredible celebrations around the country that would make killer road trip destinations! So, if you don’t have any plans yet and want to go big this Saint Paddy’s Day, here are five cities worth a trip to get in on the green this spring. 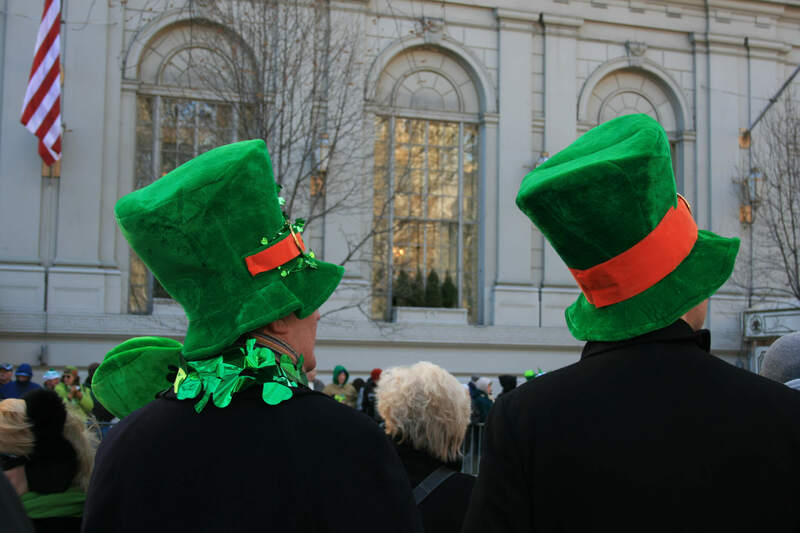 Two men in novelty hats watching the St. Patricks Day Parde in Manhattan. 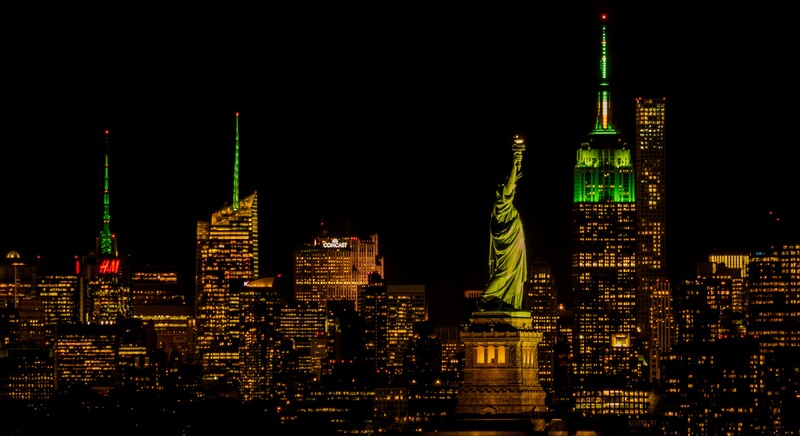 As the largest city in the U.S., it’s only natural that NYC has one of the biggest Saint Patrick’s Day stateside parades. With over 150,000 marchers strong pouring down Fifth Avenue (yes, that includes bagpipers), the city comes alive with Irish Spirit. Post up anywhere between 44th and 79th street to catch the action, and while you’re out and about, be sure to check out the many famous NYC landmarks and attractions along the parade route—the Empire State Building, the Metropolitan Museum of Art, and FAO Schwarz (in case the kids get antsy). And of course, no NYC shamrock bash would be complete without laying your eyes on St. Patrick Cathedral where the parade concludes. Travall Tip: Hungry? Thirsty? Just head to one of the many authentic Irish pubs in the city—Peter McManus Cafe or McSorely’s Old Ale House are both great places to start! New Orleans is a parade-centric town, which is why a single parade for Saint Patrick’s Day simply wouldn’t do. So to meet the party needs of its citizens and thousands upon thousands of visitors, the Crescent City throws a huge week-long blowout every year with multiple parades happening throughout the city. First, there’s the Saint Joseph’s Day Italian-American Parade, which ends up in the French Quarter. The next day hosts the main event—the Saint Patrick’s Day Parade in Metairie where you’ll get the chance to catch any number of “throws” from beads to huge heads of cabbage. To pass time in between parades, you can check out one of the many block parties happening throughout the city like the Irish Channel Saint Patrick’s Day Club Block Party, Tracey’s Saint Paddy’s Day Party, or Parasol’s Block Party Celebration. Then there are smaller parades worth checking out like the Downtown Irish Club Parade or the Irish Channel Parade. Travall Tip: It might sound overwhelming with so many festivities happening, but you’d be hard-pressed to find a more vibrant and lively place to celebrate Saint Patrick’s Day than New Orleans. Just take it easy, drink lots of water, and don’t stop dancin’ to the sounds and rhythms that permeate the city. Citizens of the Windy City must think Saint Patrick’s Day is a competition because more green is unleashed in Chicago than practically anywhere else in the world. 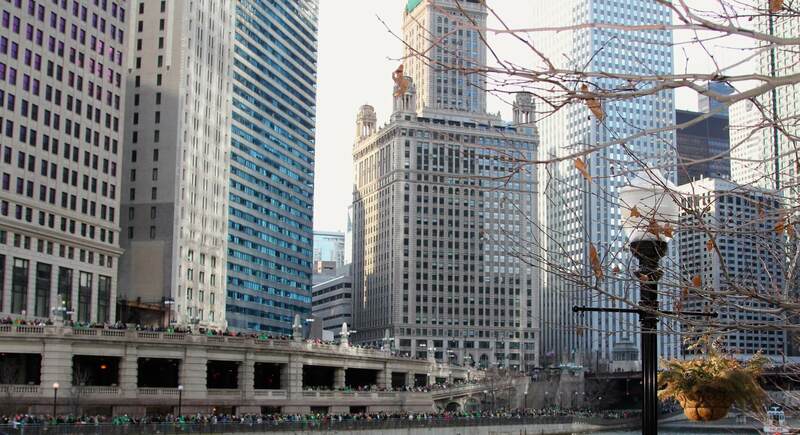 Not only are all the St. Patrick’s Day parade marchers and bystanders covered head to toe in green, the city takes the holiday to a whole new level by dyeing the Chicago River green, a tradition in place for half a century. That’s right. An entire river transformed into a large-scale homage to the Patron Saint. But don’t worry—they say the dye used is vegetable-based so it doesn’t have a significant environmental impact. The dying of the river kicks off the Chicago Saint Patrick’s Day Parade that runs up Columbus Drive in Grant Park, and if you’re still wanting more parade action, head down to Chicago’s South Side Irish Parade. Travall Tip: Parking in the city can be quite hectic on normal days, but it’s nearly impossible to find a spot on a big holiday like Saint Patrick’s Day. Save yourself a headache by parking outside of town and taking public transport to get to the city center for the festivities. There’s only one place capable of hosting what’s known as “The Nation’s Saint Patrick’s Day Parade,” and that’s Washington, D.C. There’s plenty of parading and partying to be had in Washington on Saint Paddy’s Day, but there are also lots of things to do to celebrate Irish culture that won’t leave you with a headache in the morning. Experience one of the city’s oldest slices of Irish history with a stroll through St. Patrick’s Cathedral, built in 1794. Or why not check out one of the most well-known pieces of architecture in the world that also happens to be designed by an Irishman—the White House! Be sure to take a look at the fountain on the north side of the White House as it’s often dyed green for the holiday. When you are ready to have a green beer and dance to some jammin’ Irish tunes, the ShamrockFest at RFK stadium is the place to be. With over 30 performers on the bill, live music pours from the stage, blasting the spirited crowd with music that’s perfect for the occasion. Plus, with carnival rides and other activities, ShamrockFest is a great option if you’re celebrating with young ones. Travall Tip: One of the best ways to experience the remarkable St. Patrick’s Parade of Washington is from the grandstands. Due to the popularity of the event, however, it’s important to get your tickets as soon as possible so you don’t miss them in case they sell out! If your main goal for Saint Patrick’s Day is to steep yourself in all things Irish, then Boston might be the best destination for you. The big parade happens in South Boston (“Southie” as the locals call it) and the train of floats and bagpipes extends for over a mile. After the parade, the St. Patrick’s Day 5K road race kicks off—walk over to West 6th Street to cheer on over 600 runners! Then, Boston’s St. Patrick’s Day festivities get slammed into overdrive when the city’s own Celtic rock band, the Dropkick Murphys, takes to the stage at the Hardrock Cafe with their driving, high-energy, Irish-inspired tunes. To get a feel for Boston’s deep Irish-influenced history, the Irish Heritage Trail tells the city’s story with 20 statues and memorials. During the month of March each year, the Irish Tourism Association offers free guided tours—perfect for any history buffs out there. 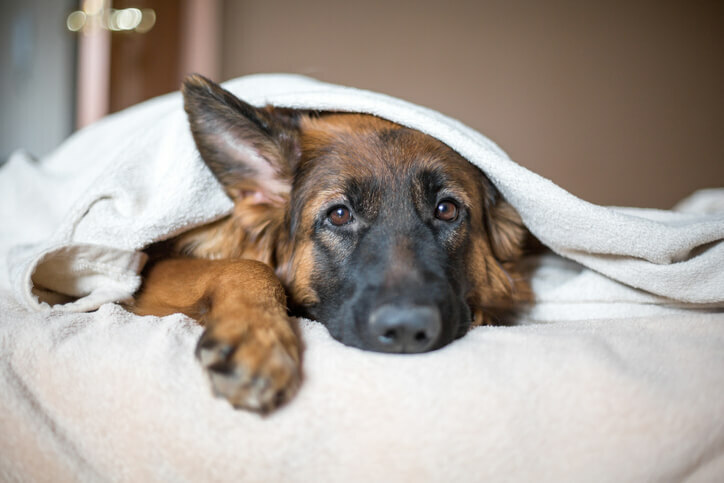 Travall Tip: Don’t let Saint Patrick’s Day pass you by without at least one helping of corned beef and cabbage . . . any of Boston’s exceptional Irish pubs should have what you need and plenty of beer to wash it down! How Will You Celebrate Saint Patrick’s Day This Year? Will you march through the streets of the French Quarter in New Orleans? 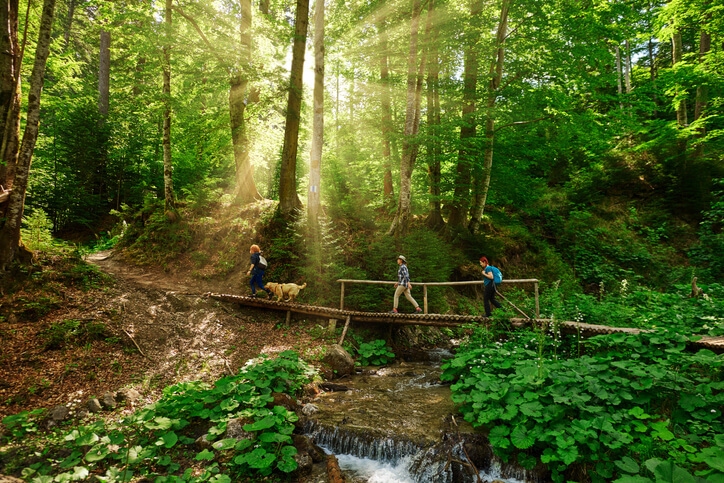 Will you witness a river turn green? Or are you looking for an Irish good time only Boston can offer? No matter how you choose to spend your Saint Patrick’s Day, we hope you feel inspired to make this year’s celebration one to remember. Just don’t forget to wear lots of green!